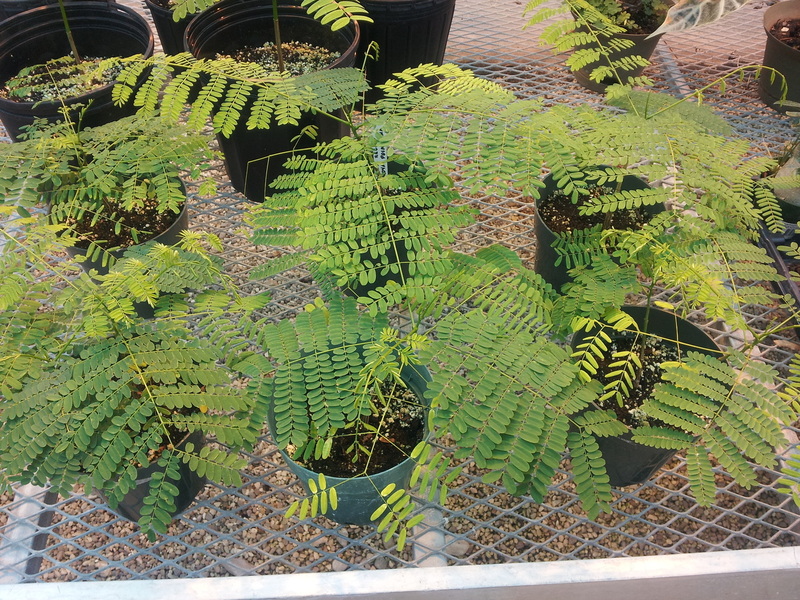 I transplanted my Royal Poinciana seedlings about two weeks ago. There was no new growth for about a week as the plants put out adventurous new roots. I didn't see any signs of shock and there was no leaf drop whatsoever. Then about a week ago they started putting out new and even larger leaves. I'm a huge fan of large leaved plants, and these compound leaves make the plants look even more elegant. I have no idea if I'll ever see flowers from these plants. In my opinion, the foliage alone is a good enough reason to grow them. I've been in contact with a local hotel with a glass atrium that is interesting in taking a few of the seedlings. I'll keep some for myself and try to donate others to greenhouses and garden centres. If you'd like to swap a plant (and are reasonably close in Ontario) just let me know! 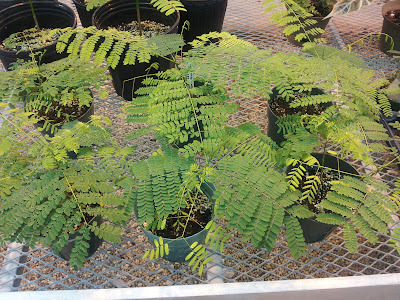 If you ever plan on growing Poinciana for indoors I would recommend choosing "Dwarf Poiciana". It's actually a completely different species but more shrub like and therefore manageable indoors. This is a great plant. I've had great success with it. And it's quite beautiful mixed in with other plants. They are coming along beautifully! It is great that you are finding homes for them like that hotel atrium. I love your new banner and background. And I think it is so funny how big and fast your seedlings grow compared to the type of plants that I generally have been growing from seed which is still under an inch tall after a year. Rohrerbot, I'm glad to hear you've grown it before. If I have any questions, I'll know who to ask. College Gardener, The one thing I don't want to do is start a plant then have to dispose of it or let it freeze. If there's anything I can't keep I always try to find a good home! Kaveh, thanks! I know eh? The worst I've had are those Lithops. The biggest is only about 1cm in diameter now. I should try some more succulents though - they're just so interesting. These plants should turn out very consistently from seed and at the time there are minimal specific cultivars. They do take a while to flower. 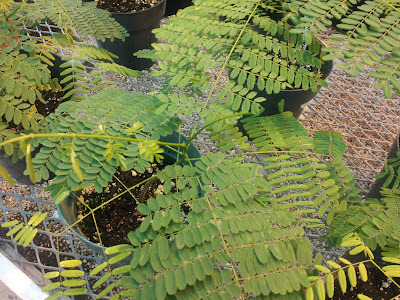 Does your tree have enough light and good soil? I bought my seeds 4 year ago in Cuba. The seeds would'nt grow.But then last year two of the seeds sprouted and grew very fast.But our climate may be to Cold and windy.I have tryed with bahuinia purpurea /camel-toe) too. And this year got Lucky to see the seeds sprout. But what to do in our Winter,I don't know.Do you ? I can't keep any of these tropicals outside in the winter. I keep them in pots then bring them in for the cold months. They'd be best in a greenhouse but they will also survive in a sunny window.